You Are More Than a Number… But You Aren’t. Aside from your social security number, your credit score may be the most important number in your life. It can affect where you live, what you drive, even where you work. The score is based on your credit card and loan payment histories, outstanding debts and any actions taken against you because of outstanding bills. Consumer credit reporting agencies gather all this information to sell to lenders, landlords and other 3rd parties who are deciding whether or not to accept your application for a home loan, an auto lease or a job. So what if the credit reporting agencies get it wrong? The amount of data the reporting agencies collect is mind-boggling, and despite their best efforts, credit reports often contain inaccurate or outdated information. The consequences of which can be quite severe. 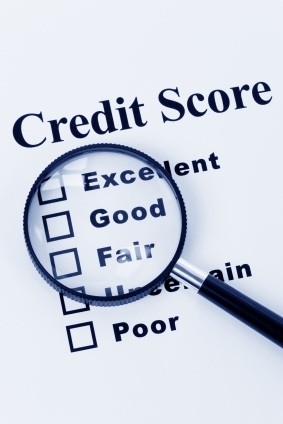 You have the right to know what is in your credit reports. The FCRA requires all credit reporting agencies to give you free access to the information they have included in your report. Every 12 months you can access one free copy of each of your credit reports from the three biggest credit bureaus (Experian, Equifax and TransUnion) online at AnnualCreditReport.com. Carefully review each report to ensure it accurately reflects your credit history and current financial situation. One way to better monitor your credit is by requesting a single report from one of three the agencies every four months. CAUTION- A lot of websites claim they can provide you with your free credit reports. Many are scams used to get your private information. 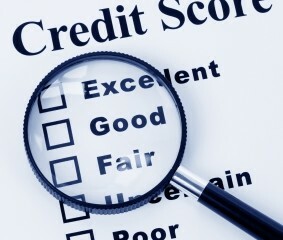 AnnualCreditReport.com is the only source for free credit reports authorized by federal law. Your credit reports can only be accessed by those with your permission or a valid need. Only those with a “permissive purpose” can access your credit report. This includes lenders with whom you applied for credit, potential employers and landlords, insurance companies underwriting your policy and government or other licensing agencies. Inquires may also be made by those with your permission or a court order. Don’t forget to regularly check your report for any unauthorized inquiries. Talk to an attorney if you suspect someone has pulled your credit report without authorization. They may have violated the FCRA. You may also request the consumer credit reporting agencies to leave your name off lists for pre-approved, unsolicited credit and insurance offers. Call 1-888-5OPTOUT (1-888-567-8688) or visit www.optoutprescreen.com. You have the right to know if information in your credit report has been used against you. If someone denied your application for a credit card, a loan, an apartment, a job or any other adverse action because of information contained in a consumer report, they are required to notify you. The notification must include the name, address and phone number of the agency that provided the information. You can use this information should you request the reporting agency to investigate. If your application for a loan or apartment is rejected, don’t be afraid to ask why. You have the right to dispute errors contained within your report. If you discover inaccurate, unverified or incomplete information within your report, you can request both the credit reporting agency and the provider of the inaccurate information to investigate. Unless your dispute is frivolous, the consumer reporting agency must conduct an investigation and report to you their findings. If the reporting agency determines your dispute is valid, it must change or delete the incorrect information and provide you with a free updated credit report. Even if the investigation doesn’t resolve your dispute, you can request that a statement of your dispute be included in future reports. If a credit reporting agency refuses to remove information despite convincing evidence that it is incorrect, they may be liable under the FCRA. Talk to an attorney if the reporting agencies or information providers have been unresponsive to your efforts to correct errors in your report. For more information about how to dispute items in your report go here. You have the right to have outdated negative information removed from your report. Consumer reporting agencies cannot report negative information after 7 years. Bankruptcies must be removed after 10. If your report contains outdated information, request that it be removed immediately. If you have been a victim of identity theft or believe your information is at risk, you can place a “fraud alert” on your credit report. You may be able to recover damages, statutory penalties of up to $1000 per violation and attorney fees. If you have been denied a loan or credit card, had to pay a higher interest rate or been passed over for a job because of inaccurate, incomplete or unverified information in your credit report you may have a claim under the FCRA. Because the FCRA allows successful claimants to recover attorney fees, an attorney may be willing to take your case at no charge. Claims under the FCRA must be made within 2 years of any violation, so talk to an attorney today if you think you might have a claim. Like it or not, you are being defined by your credit score. It’s up to you to make sure it’s an accurate reflection of your financial history. Regularly monitor your credit reports and act quickly if you see something fishy.